Voss 970Y Youth/ Small Adult Helmet | Matte Black The Voss 970Y Full Face helmet for Kids / Youth. Parents can shop for their kids full face helmet from the Voss helmet line up. The 970Y is lightweight extra strength ABS shell that has paid more attention to quality and comfort. Little riders can expect a super comfortable helmet, that also features a ratchet quick release system for easy to use application and retention. The 970Y Youth helmet is available in Sizes - S M and L, and in shell finishes - Solid Matte Black, Gloss White Lily, Gloss Black Lily, and Gloss Red Dragon. Also can be worn for 2XS and 3XS adult women or men! She loved it. It was a gift for her 8th birthday. 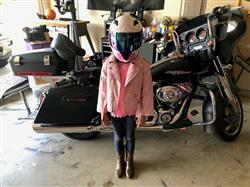 Now Daddy can take her to school on the Harley. 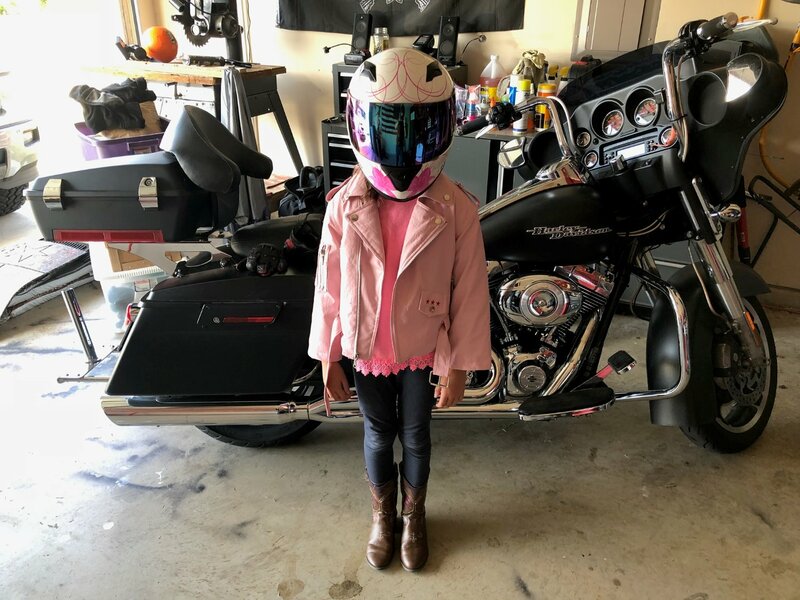 After ordering a 888CF for myself, and being extremely pleased with that purchase, I decided to look at the youth helmets for my daughter. From her perspective, she absolutely loves it. She says it feels good on her head and she adores the red dragon design. The face shield is solid and fits snugly on the helmet, while still being easy enough for an 8-year-old girl to open and close as she needs. The quick release on the strap makes a world of difference when helping a child adjust the fit of the strap as well, since we can now set it the initial time and she can easily snap it in or undo it herself after that. As the parent, I'm happy with the quality of the helmet. It's well constructed, and the fit of it lives up to the sizing guide that Voss lists on the helmet's page. Also, the speed of delivery was awesome. Thank you for a great product, it's made one little girl very, very happy!